For today’s small and mid-sized businesses, the risk and effects from any unplanned outage (downtime) grow with each additional critical application, network enhancement or system upgrade. We don’t have to look back very far to see the consequences of sudden or unexpected disasters affecting the IT infrastructure of major cities and businesses of every description. 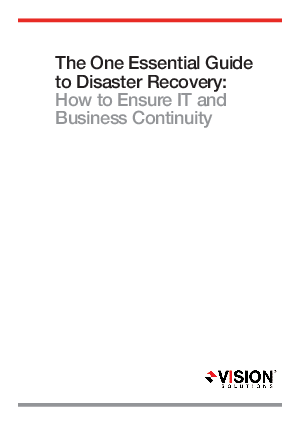 This white paper will help you ensure business continuity and survival by leading you through three essential steps—from understanding the concepts of disaster recovery and information availability to calculating the business impact of downtime.